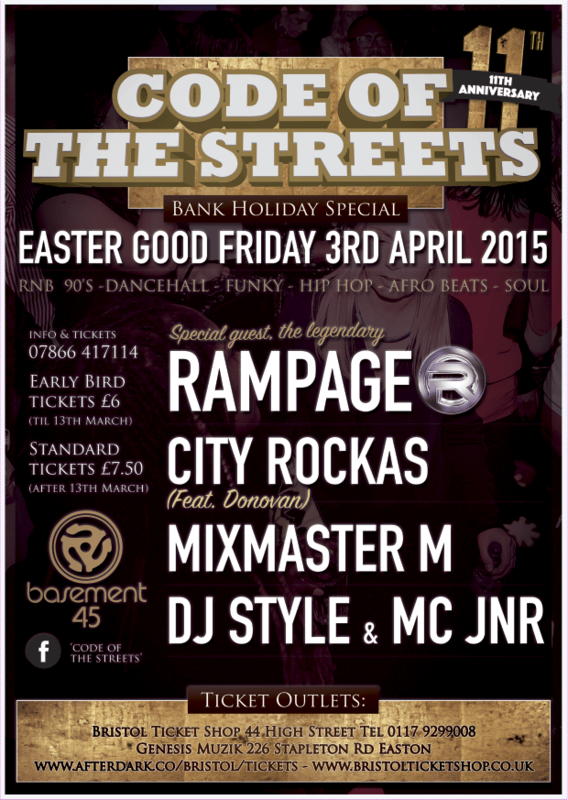 Code of the Streets celebrates it’s 11th Anniversary on Easter Good Friday 3rd April @ Basement 45 – 8 Frogmore St, Bristol. Special Guest Rampage (The Carnival Kings) & Bristol Legend City Rockas – DJ Style – Mixmaster M & Mc JNR. Early Bird tickets only £6 available until 13th April from hotline only 07866417114, standard price apply £7:50 there after.